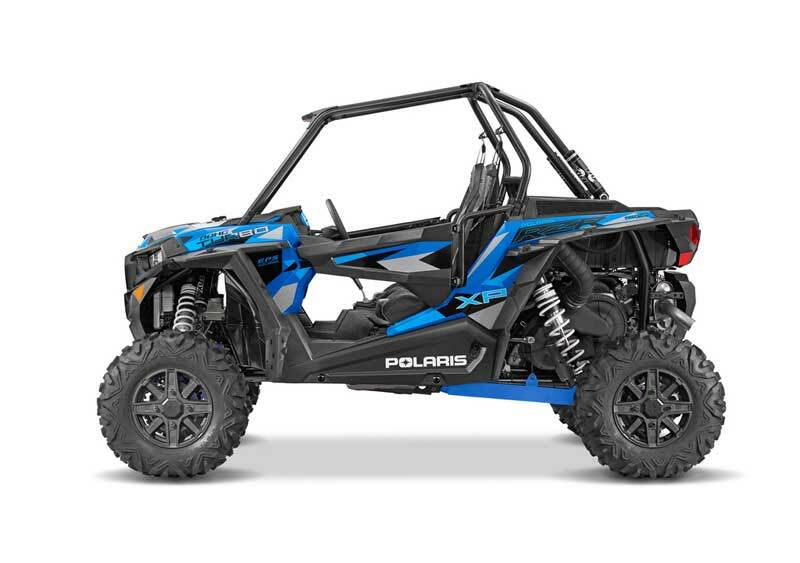 Polaris toll-free at 888-704-5290 from 8 a.m. to 5 p.m. CT Monday through Friday or online atwww.polaris.com and click on Product Safety Recalls for more information. In the past, I’ve been unwilling to support expansion of Medicaid in South Dakota. Without a plan to cover the state costs, I have opposed expansion. But I have never said “never,” and there may be a way to cover our costs completely. Since last spring the state has been in discussions with the federal government and South Dakota tribes about the way healthcare services are provided to Native Americans. The United States Government strives to meet their treaty obligation to provide health care to Native Americans through the Indian Health Service. Many Native Americans in South Dakota are not able to be served by IHS, however. This can be because there is no IHS facility in their area, because IHS doesn’t have specialists available, because of long wait times or because IHS funding for the fiscal year is exhausted. No matter the reason, when a Native American who is Medicaid eligible does not seek care through IHS, but instead goes to another provider, part of the cost is shifted to the state. When South Dakota must cover these costs, it is because the federal government is not meeting its treaty obligation. If more Native American health care expenditures could be 100% federally funded – as the treaty requires – the state could save up to $67 million per year. That would be enough to cover fully the state’s costs to expand Medicaid. In the past, the federal government has not been receptive to fixing the cost shifting problem. Gov. Janklow tried to change it and couldn’t. Gov. Rounds sued over it and lost. But now, the federal government is willing to listen. For the first time, we have the opportunity to solve this longstanding problem. But it is only possible if we expand Medicaid at the same time. Any change to our state Medicaid program is subject to approval by HHS and requires tribal consultation. They will not approve a change in how IHS reimburses our state unless we use the proceeds to fund expansion. This is a very complex area and making something work will be difficult. I cannot tell you today that everything will come together. But if it does, we should seize the opportunity. Making this change would benefit Native Americans and others who would gain health coverage. It would also save funds for counties, jails and prisons, hospitals, and other Medicaid providers. I know many South Dakotans are skeptical about expanding Medicaid, and I share some of those sentiments. It bothers me that some people who can work will become more dependent on government. It bothers me that a single adult could choose to go on Medicaid rather than work a minimum wage job to qualify for insurance on the health insurance exchange. But we also have to remember those who would benefit, such as the single mother of three who simply cannot work enough hours to exceed the poverty line for her family. I also want to be clear: This is not a done deal. Our talks with the federal government have been promising, but there is much work to be done. There is still the potential for this effort to fall through. I will not support expansion unless our savings cover costs anticipated next year, and every year through State Fiscal Year 2021. I will not support expansion unless HHS and IHS do what they need to do to make it work. I will not support expansion unless our tribes agree with these changes. And I will not support expansion unless the Legislature supports it also. This is a complicated decision and we all have to weigh the positives and negatives. In my mind, the opportunity to end this longstanding IHS reimbursement issue, to gain coverage for more South Dakotans, to improve health care for Native Americans, to save money for counties and Medicaid providers, and to potentially save millions in state dollars outweighs the negatives. If we can make the money work, we should seize this opportunity. PIERRE, SD) – A single ticket sold in Johnson Siding hit the $6,706,766 Hot Lotto jackpot in the Dec. 9, 2015 drawing. Winning numbers are 12, 22, 31, 33, 47 and the Hot Ball is 3. The odds of winning the Hot Lotto jackpot are 1:29,144,841. The holder of the ticket should sign the back of it immediately and put it in a safe place before contacting the Rapid City Lottery office at 605-394-5106 or the Pierre Lottery office at 605-773-5770. Winners have 180 days to claim their prize. Hot Lotto jackpots are paid in a single lump sum payment with initial withholding taxes paid. Hot Lotto is played in 14 states and the District of Columbia. The jackpot starts again at $1 million for the next drawing on Sat., Dec. 12, 2015. PIERRE, S.D.-Thursday, December 10, 2015 . Attorney General Marty Jackley is warning South Dakota consumers of a text messaging and email scam that entices the consumer to respond to vague shipping inquires. With cyber Monday behind us and the delivery of numerous packages on their way, it is not uncommon for consumers to be watching their doorsteps, email and text messaging alerts for package deliveries. This scam is simple. A vague text message or email appears, asking the consumer to respond immediately in order to get the items delivered in a timely manner. Opening any attachments may expose cellphones to malicious malware or may compromise personal identifying information. “Consumers need to treat their mobile devices as they would a computer. Avoid opening links, installing apps or open attachments contained within unsolicited emails or texts,” said Jackley. “Scammers are working very hard this holiday season to take advantage of every opportunity to scam consumers,” said Jackley. Consumers need to avoid opening any attachments that have arrived from unfamiliar cell numbers or email accounts. Be a savvy shopper and keep the shipping details that have been sent to you directly from the company. Most businesses will send a shipment verification email as to where and when items will be delivered. If there is any concern on delivery confirmation, call the business directly to confirm. If you have any questions regarding this scam, please contact the Attorney General’s Consumer Protection Division at 800-300-1986 orconsumerhelp@state.sd.us. (New York, NY) December 10th, 2015 – The Donald J. Trump for President campaign is proud to announce the Leadership Committee of the Texas Women for Trump Coalition. This group of over 100 accomplished leaders – Republican women, Tea Party leaders, former city officials, business leaders, entrepreneurs, community leaders, and philanthropists support Donald Trump and are committed to working to help him carry Texas. The Texas Women for Trump Coalition is led by many of the best, longtime Republican organizers all across Texas, as well as many newcomers who have been inspired by Mr. Trump’s message of securing our border, taking care of our Veterans and true tax reform. “I always knew Donald Trump would be the answer to the desperate situation our country is enduring. And now with almost $20 trillion in debt, it is critical that we take Mr. Trump all the way to the White House and fix this mess,” said Caro Delgado of Houston, a Mexican-born businesswoman and proud American citizen who recently earned her U.S. citizenship. “Donald J. Trump is the only candidate that will salvage this country and make things great again because he can’t be bought. He is the only choice!” said Gina O’Briant of Dallas, Statewide Co-Chair of Texas Women for Trump and Congressional District 3 Co-Chair. “I have worked in Republican politics since my days of helping Ronald Reagan, and I have not seen such excitement for a Republican for President since then. I am thrilled to be on Mr. Trump’s campaign leadership team and will do all I can to help him win Texas!” said Mary Sue McCarty of Mesquite, a longtime Republican activist and organizer. Mr. Trump has visited Texas numerous times throughout his campaign including hosting 20,000 at his Dallas rally in September and most recently in Beaumont where thousands turned out to hear Mr. Trump speak about his vision to Make America Great Again. Expedition 45 crew members Kjell Lindgren of NASA, Oleg Kononenko of the Russian Federal Space Agency and Kimiya Yui of the Japan Aerospace Exploration Agency settle into the Soyuz TMA-17M spacecraft that carried them safely back to Earth on Dec. 11, 2015 after their 141-day mission aboard the International Space Station. 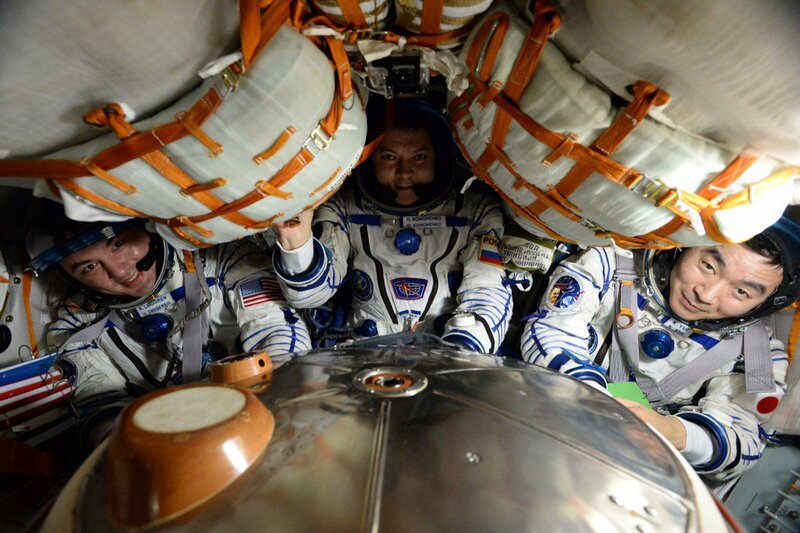 Also returning were Flight Engineers Oleg Kononenko of Roscosmos (Russian Federal Space Agency) and Kimiya Yui of the Japan Aerospace Exploration Agency (JAXA). The crew touched down northeast of the remote town of Dzhezkazgan in Kazakhstan, marking the first crew landing to occur after sunset and only the sixth nighttime Soyuz spacecraft return from the space station. While on station, the crew members participated in Earth observations and conducted research in the areas of physical, biological and molecular science to advance knowledge and demonstrate new technologies. Such investigations enable research breakthroughs and drive technology innovations that provide benefits on Earth, and will enable long-duration human and robotic exploration missions into deep space. The space station is a test bed to demonstrate new technologies, and Lindgren and Yui took part in theVeggie plant growth experiment that yielded fresh lettuce for crew consumption in August. NASA is maturing Veggie technology aboard the space station to provide future pioneers with a sustainable food supplement — a critical part of NASA’s journey to Mars. As NASA moves toward long-duration exploration missions farther into the solar system, Veggie will be a resource for crew food growth and consumption. The system also could be used by astronauts for recreational gardening activities during deep space missions and may have implications for improving growth and biomass production on Earth, benefiting the average citizen. The crew members also welcomed three cargo spacecraft during their mission. The fifth Japanese HTV cargo craft brought several tons of supplies to the station in August, and in October, a Russian ISS Progress cargo craft docked to the station, also bringing tons of supplies. On Dec. 9, Lindgren led the grapple of Orbital ATK’s Cygnus spacecraft to the station, the U.S. company’s fourth commercial resupply mission for NASA. Expedition 46 continues operating the station, with Kelly in command. Along with Kornienko and Sergey Volkov of Roscosmos, the three-person crew will operate the station for four days until the arrival of three new crew members. NASA astronaut Tim Kopra, Russian cosmonaut Yuri Malenchenko and Tim Peake of ESA (European Space Agency) are scheduled to launch from Baikonur, Kazakhstan, on Dec. 15. President Obama signed the Every Student Succeeds Act (ESSA) into law, a bipartisan bill to revise and replace No Child Left Behind. Regardless of race, income, or zip code, all of America’s students deserve a chance to go as far as their dreams and effort will take them. Today, President Obama signed the Every Student Succeeds Act (ESSA) into law, a bipartisan bill to revise and replace No Child Left Behind. This new law helps states and districts reduce unnecessary standardized tests, gets rid of one-size-fits-all mandates on our schools, ensures that our education system will prepare every child to graduate from high school ready for college and careers, and provides more children access to high-quality state preschool programs. Since President Obama took office, we’ve made historic progress: More high school students are graduating on time than ever before, and dropout rates have hit historic lows. This new bill will cement the progress we’ve made and better position students to be college and career ready. Also under the President, we’ve made strong investments in student aid for college with a far simpler Free Application for Federal Student Aid (FAFSA), and the new College Scorecard are helping to give all students the opportunity to go to college by providing them with the right tools for success. In October, the First Lady launched the Better Make Room campaign to leverage traditional and new media platforms to inspire and help students take the next step to pursue and complete some post-secondary education. South Dakota Democrat Leaders Advocate for Medicaid Expansion in South Dakota . On Tuesday, Governor Dennis Daugaard corrected course and announced his support of a plan to expand Medicaid in South Dakota under the Affordable Care Act at his annual budget address. South Dakota Democrats have been advocating for Medicaid Expansion since the option of increasing health care coverage was made available through the Affordable Care Act. South Dakota Democrat legislators have introduced legislation to expand Medicaid during each of the past three legislative sessions, all of which have been killed by the State’s Republican majority Legislature. Democratic Party leaders in the State Legislature are hopeful that this legislative session will provide a breakthrough in the fight to expand Medicaid. Democratic Party leaders say they are committed to working with those on the other side of the aisle to expand health care coverage in South Dakota. Over 30 states have expanded Medicaid, which includes our neighbor states of North Dakota, Minnesota, and Iowa. Medicaid expansion will save lives, stimulate the economy, and increase the State’s revenues.